Sir Mick Jagger and Keith Richards have waived royalties from sales of a Christmas single in memory of murdered MP Jo Cox. The track, recorded by a group of music stars and MPs, is a cover of the Rolling Stones classic, You Can’t Always Get What You Want. Sales of the single will raise money for a charity set up Mrs Cox’s name. 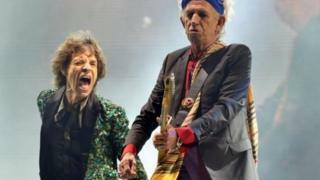 An MP revealed the veteran rockers were foregoing payment during a House of Commons debate. The recording, to be released on Friday, features Kaiser Chiefs frontman Ricky Wilson, Cockney Rebel’s Steve Harley, KT Tunstall and David Gray. Bookmakers William Hill announced it would donate any money staked on the single reaching the Christmas number one slot to charity. The chancellor has already announced plans to drop VAT on sales of the single..
West Yorkshire MP Ms Cox was murdered in her Birstall constituency on 16 June.